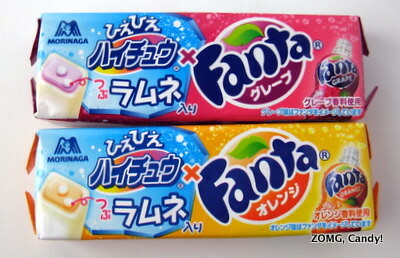 These Hi-Chew Fanta flavors were found and purchased at an Asian grocery store in my hometown. I think this is the first time that Hi-Chew has partnered with another brand for their chews! From the outside, the Hi-Chew Fanta looked like standard Hi-Chew fare – rectangular prisms of a colored center enveloped in an off-white shell. 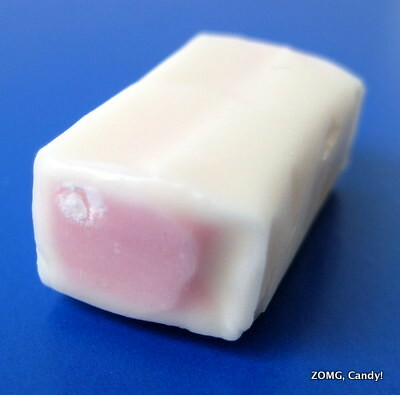 They carried a surprise, however, as the stiffly sproingy chews were embedded with bits of crunchy, compressed sugar candy that added a subtle fizzy effervescence. 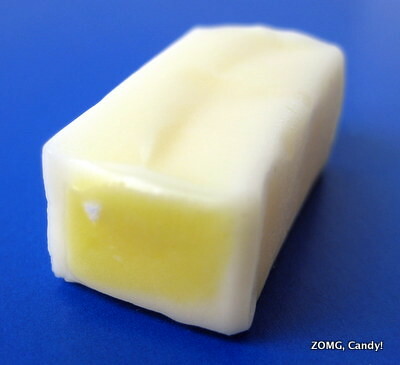 Orange (not to be confused with Hi-Chew Orange Soda flavor) was tart with an undertone of zesty orange flavor that mellowed as the chew progressed and the crunchy candy bits disappeared. It did a pretty good job of capturing the flavor of orange soda, though it tasted less artificial than its soda counterpart. Grape, too, started out sour and then mellowed out as I chewed it. It didn’t taste like real grapes, but it also didn’t taste quite like grape soda, as it was more floral and rotund. 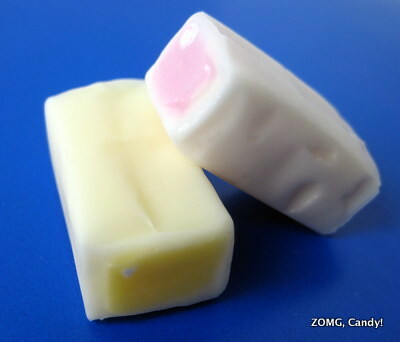 These Hi-Chews were a fun twist on the original. I enjoyed the added fizziness of the candy bits, and the flavors, as usual, were bright and intense. I hope they add more Fanta flavors to the line. An OMG.